About the Author: Erica Dsouza is pursuing BBA from Alliance School of Business, Bangalore. She shares how she followed her passion for writing through virtual internships. After I joined college, it didn’t take long for me to get acquainted with internships and their importance in building one’s career. Initially, I had a lot of questions and inhibitions about getting an internship and working as an intern. I couldn’t imagine myself strolling through the doors of a corporate office and presenting my resume with zero experience. 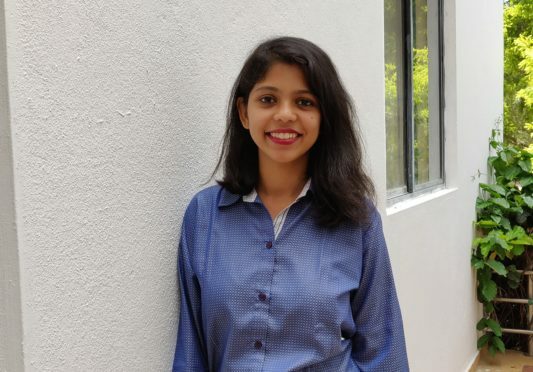 That’s when a friend introduced me to Internshala, an online internship platform with a wide range of opportunities in various profiles, which ensured that I didn’t have to step out in scorching heat and jump over puddles for applying to internships. I have always believed that I have a knack for creative writing, so I started looking for content writing internships. I applied to a virtual internship at Tabloidxo. Apart from answering three questions while sending in my application, I wrote a sample article after the initial screening. Following this was a telephonic interview wherein they asked me why I wanted to become a content writer, how many hours I could dedicate per day for the internship, and which topics I’d be comfortable writing about. Soon after the interview, I received an email from them about my selection for the internship. In this 3-month internship, I wrote several articles and listicles related to lifestyle, relationships, and music. In the beginning, the topics were assigned to me and once I got a hang of how the content was curated there, I could pick topics on my own. Some of the topics on which I wrote articles there were ‘Ten things every girl must do before turning 30’, ‘20 reasons why couples engage in fights’, ‘Perks of having a guy best friend’, etc. I wrote two articles every day during the internship; while it was difficult for me in the beginning, with constant guidance from my mentor there, I was able to get comfortable with the work. I understood that time management was easier said than done, and I stayed up all night for a few days struggling to meet the deadlines. Thankfully, my mentor came to my rescue and helped me manage my work. Next, I applied to an internship at KIWCO. The selection process was similar to that of TabloidXo. I filled in the application form and was asked to share a sample article on ‘Men’s fashion: the subtle changes we overlook’. I wrote an article emphasizing the evolution men’s fashion has undergone over the years. Then, there was a telephonic interview wherein I was asked if I would be able to compose articles on t-shirts and men’s fashion and how much time I’d take to write an article. We also spoke about my previous internship experience and discussed the details of the responsibilities I would have at KIWCO. I got through the interview and started working as a content writer there. I researched various fashion brands and wrote articles about different brands, fashion bloggers, clothing, and fabrics. I wrote about styling garments in different ways and how common man could replicate the clothes worn by celebrities. I also wrote a few articles about modular kitchens. My internship here was a wholesome experience as not only did I get to learn about a different domain altogether but also to experiment with my writing style. Then, I applied to an internship at Yaabot. I filled in the application form wherein I selected cryptocurrency and career to be my primary choices for writing articles. I submitted two to three articles per week on various topics related to finance and cryptocurrencies there. While I wrote conversational and creative articles in my previous internships, I wrote descriptive articles at Yaabot. During my internships, I realised the importance of proofreading for creating a good piece and the effort that goes into writing even a small product description. If it wasn’t for Internshala, I’d never know my strengths and utilize them to earn experience, exposure, new skills, and of course, some pocket money. Inspired by Erica’s zeal to discover herself as a writer? Then, apply to these awesome content writing internships and scribble your way to success. Baat toh Kar lo yaar!